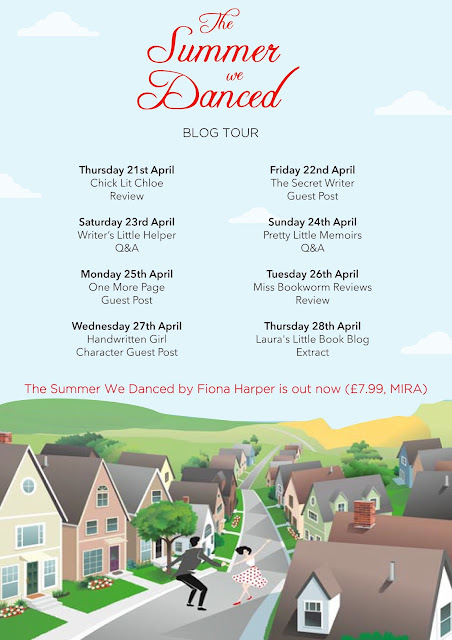 It's I am the last stop on the blog tour today for The Summer we Danced by Fiona Harper. Today I get to share a teaser of the book with you. I inhaled deeply as I raised myself on to my toes with the poise and concentration of an Olympic diver. I swayed precariously, but steadied myself, knowing that everything— everything—depended on me keeping perfectly still for the next few seconds. I waited, eyes half-scrunched closed, even though they were fixed on the digital numbers flickering rapidly between my big toes. Any moment now the display would stop jumping around and deliver its verdict. My heart was thudding so hard I could swear the noise was bouncing off the tiled walls of my bathroom. And then, just as I thought it was never going to happen, it did. I stared down at the pale-green digits lighting up my bathroom scales in horror. The green digits flashed at me, blinking their accusation. no time, especially now January’s cold light was intent on revealing my every lump and bump. been swallowed up by the sheer volume of mince pies I’d consumed. I’d had a good excuse, though. I’d thought the second Christmas without Ed—the first since our divorce had been finalised—would be easier. Less lonely. And maybe it would have been, if he hadn’t been posting pictures on Facebook of his fabulous Caribbean Christmas with the Tart. demands, and toxic under-the-duvet fumes now. Even a thatched bungalow on an Antiguan beach couldn’t make that stench romantic. I had to be, because he wasn’t coming back. Anyway, as Big Ben had chimed last night I’d toasted Roberta with a large glass of Baileys and vowed that today would be my turning point. This would be the year of the new, improved Pippa. The Pippa who could finally get into a pair of skinny jeans without herniating something. The Pippa who was going to rise phoenix-like and resplendent from the ashes of her marriage and transform into a glorious being. I pondered that for a few moments but then made the mistake of looking down and discovered I could no longer see my toes past my rather wobbly midriff. I prodded the bulge with a finger and it rippled. That’s the downside of stripping down to your underwear to weigh yourself. What you save in precious ounces, you gain back in reality. No longer could I ignore the fact I didn’t just have a muffin top, but a whole Victoria sponge sitting round my middle. Maybe a phoenix was the wrong image—the wrong logo—for my marvellous rebirth. Maybe a butterfly would be a better fit. Because I clearly had the whole roly-poly cocoon thing going on. While I’d been thinking, the bathroom scales had turned themselves off in a huff. I jabbed the button again with my big toe and waited for the display to do its usual warm-up dance and settle back to zero. I’d try again. Just to double-check. After all, the battery might be going. and faceplanted into the bathroom wall. Don’t do that! Stop climbing! The scales had returned to exactly the same number they’d been at the first time. A number they had never dared showbefore. Not just double figures, but higher. The one that was unlucky for some, and definitely not good news for me. I couldn’t even comfort myself I was the national average dress size any more. I’d waved goodbye to that number in my rear-view mirror some time around mid-December. 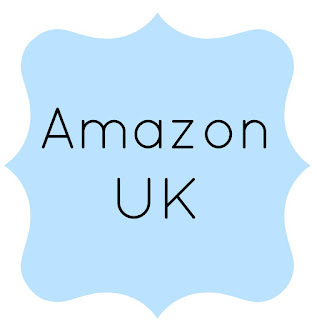 ‘Traitor,’ I whispered as I stepped off the scales and threw my pyjamas back on. Before the display went dark, the offending numbers seemed to linger just a little longer than normal, mocking me. The scales sat there, unblinking in their innocence, as I stomped from the bathroom.